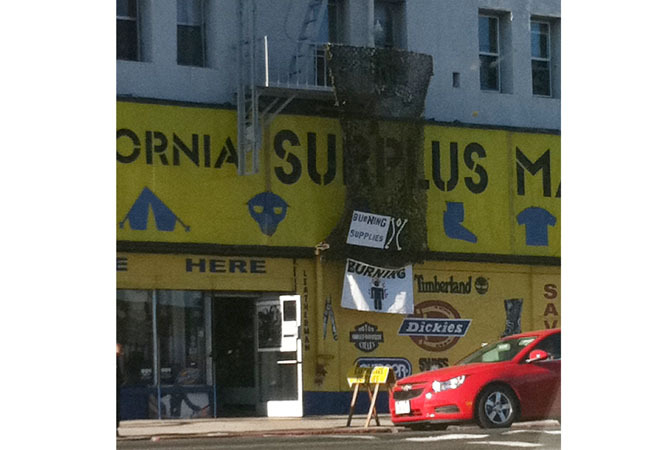 You know it’s almost Labor Day when you see the giant display for Burning Man hung outside the venerable old California Surplus Mart on Santa Monica Blvd. The shop has sold military gear and camping supplies for more than 60 years, and this season they’re going after the offbeat crowd heading to Black Rock City this weekend. Here are ten fashion suggestions from the shop that would look great out on the Playa.